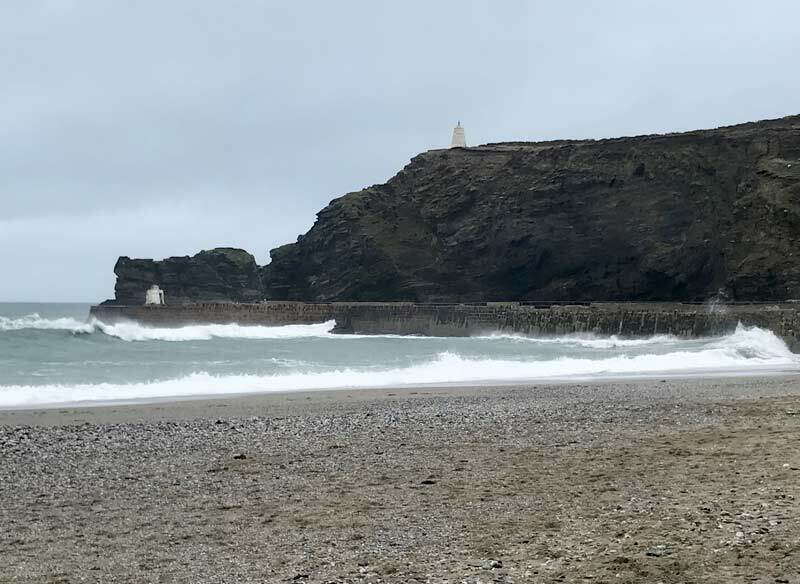 My day out to Porthtowan quickly became a trip to three different Cornish beaches: Porthtowan, St Agnes and Portreath. All within a few miles of each other, this wasn’t an intrepid adventure, more a tranquil wander along the coast road with plenty of sand between my toes. I was trying to explore this stretch of the North Cornish coast as if I’d never visited before and because I had time on my hands, I appreciated just how dramatic the coastline is and how beautiful a part of the world I’m lucky enough to live and work in. Having come across a sign on the journey to my original destination, the stunning views diverted my attention, which is how I ended up in St Agnes. It’s no surprise that this is in an Area of Outstanding Natural Beauty (AONB) and a UNESCO World Heritage Site. With the breathtaking scenery, exploring the surroundings is something that I would most definitely suggest. I spent some time exploring, trying not to be too distracted by the view! I would say that St Agnes is superb for coastal walks although recommend just stopping and staring every now and then! To keep you fuelled for the wander there is a range of diverse restaurants, cafes and pubs. Even though it was closed when I was there, Driftwood Spars is a pub that stood out to me - it’s so close to the beach, I’ll have to come back and enjoy a drink while watching the sunset in this gorgeous spot. Rich with mining history, St Agnes is Britain’s last remaining tin production centre. The remnants of a mining past add just a little more drama to this stunning spot. My next destination was Porthtowan, another Blue Flag recognised beach. 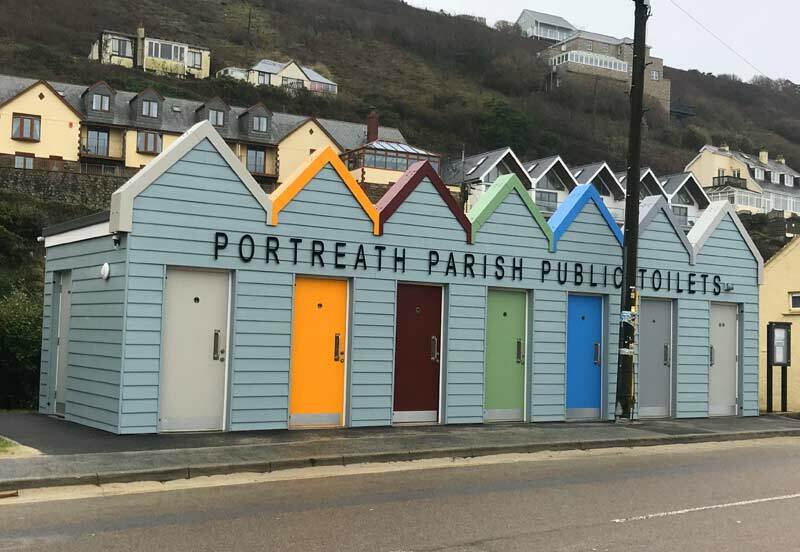 I originally wanted to embark on this day trip to Porthtowan as many people have told me how fond they are of the place. It’s hugely popular in summer, probably one of Cornwall’s favourite beaches. The broad stretch of beach provides a welcome break in the harsh granite coastline. While the village that grew from mining is unlikely to make it onto your Instagram feed, it has everything you need for a picnic lunch and sandcastle building. At low tide, you can reach neighbouring Chapel Porth beach apparently, but I didn’t venture there this time. The journey from St Agnes to Porthtowan was magnificent. The coast road had a few spots where I was able to stop and take in the astonishing view in front of me. One of the most striking reflections on the village’s mining past is the former engine house Wheal Lushington, it’s now been converted into a private house. 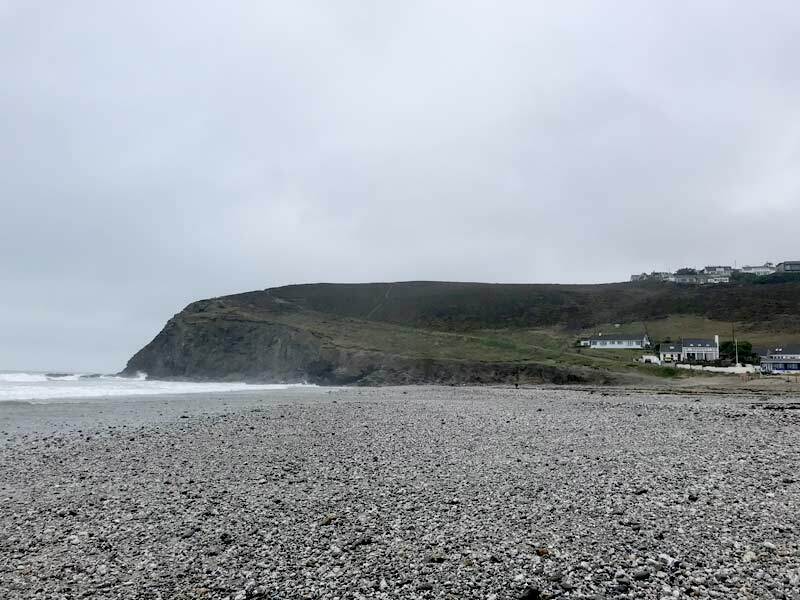 And lastly we have Portreath. Watching the waves crashing at the beach was lovely. With the scenery it’s understandable as to why so many people were using the beach - even though it was winter. Watching the waves breaking here was lovely, there were even people hitting the surf although I might wait until it warms up a bit before I get in again! Up on dry land there is a surf shop and a good cafe as well as some rather funky loos! I noticed that a lot of people were using the Coast-to-Coast cycle route. The 11 mile route is entirely traffic free, which makes it a blissful and relaxed ride as well as a feasible and safe activity if you’ve got kids in tow. I’d say that spontaneity made this day trip one to remember. Oh! And another great factor is that I didn’t have to pay for parking as it was out of season. 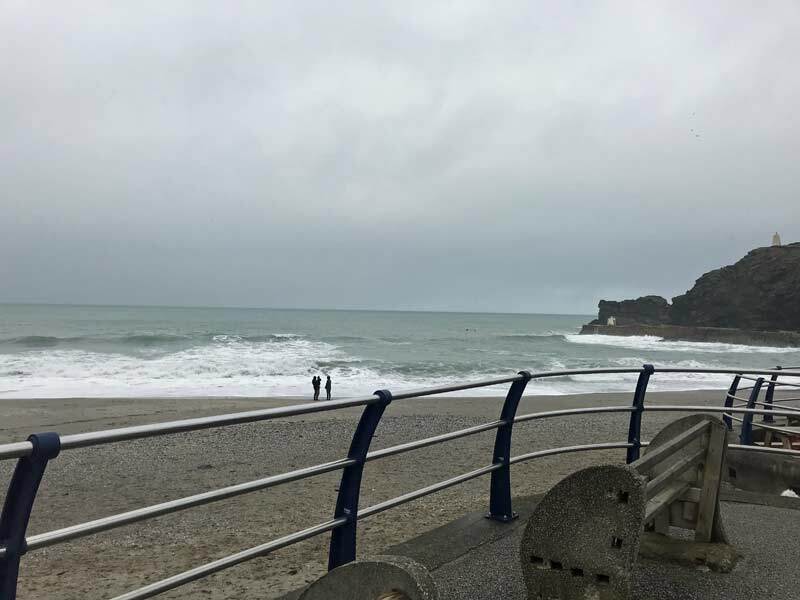 Despite visiting out of season, it was pleasing to see so many people out and about, using the beaches and braving the surf. It reinforced how much the people of Cornwall appreciate what’s on their doorstep and the outdoors life a coastal setting offers. 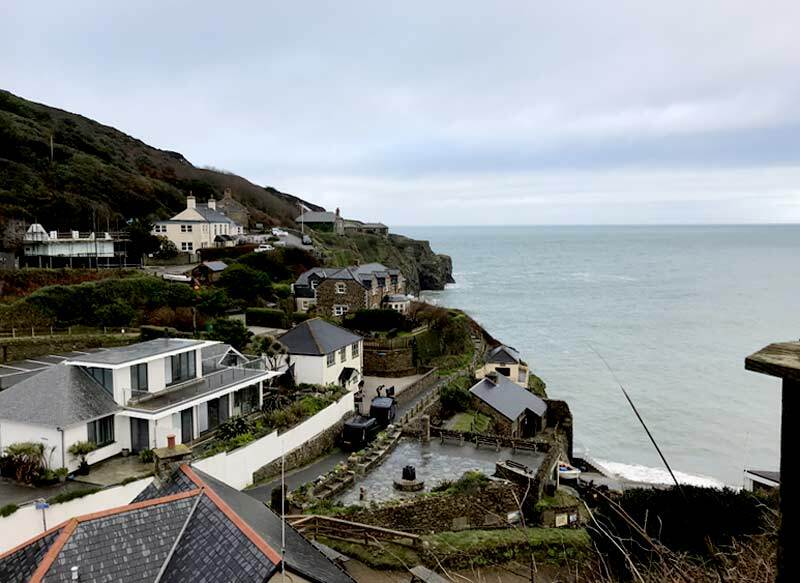 About the author: Emma Graham is the customer service supervisor at Cornish Traditional Cottages and visited Porthtowan in January 2018.